I’ll be the first to admit that I know precious little about the technical process of recording an album. The musician side of things is easy enough to grasp, but the technicians who collect, mix, and master the sounds thrown out into the ether may as well be a sect of wizards engaged in super secret wiz biz. Although I don’t understand how they do their jobs—I imagine it involves summoning Akathla, demon of the Low End—I do know that the decisions they make are ultimately aesthetic ones. This means when it comes to production, it’s not so much about if it’s good or bad, but whether or not it works with the music to create an aesthetic you enjoy. You probably know where I’m going with this, so let’s put that on the back burner and talk a bit about the musician side of Lowlife, the debut album by Richmond, Virginia’s Tel. Lowlife features five cuts of emotive doom metal that encompass a surprising range of styles. 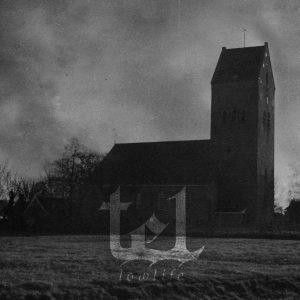 In their heavier moments, Tel is a sludge band in the vein of Yob, with propulsive, churning grooves and occasional death roars. Add to this a propensity toward prog and wandering guitar passages that border on bluesy. The band members all play well together, but the revelation of Lowlife is the effortless clean singing of Dante DuVall. Far from the usual charmingly flawed cleans found on albums of a similar style, DuVall is a stark presence cutting through the fuzz. There is a quality to his voice that reminds of Tool‘s Maynard James Keenan, if a bit more sedate and a bit less precious. There is a somewhat spacey echo to the vocal track that one would expect in stoner rock, but it never detracts from DuVall’s clear tone. Like their vocalist’s delivery, the band shifts through styles with an ease that makes each transition feel fluid and natural. 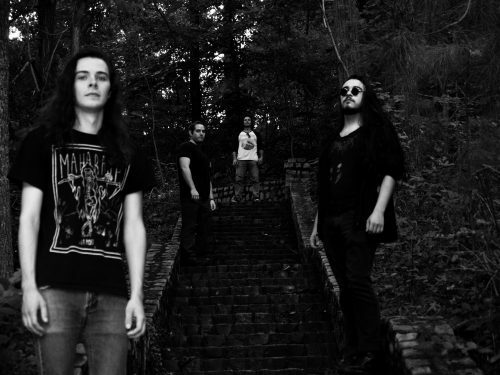 “Choke” begins with a pummeling mid-paced riff and death roars—their most Yob-like moment—that gets the blood pumping, only to pivot 30 seconds later to a groovy clean guitar line that leads to another and another. The song then toggles between the two styles without ever feeling forced. “Submerged” is a pensive cut of doom/blues that dials back the aggression for the album’s sparsest moment. With all the classic rock influence, guitarist Michael Potts does have a tendency to get lost in the Noodle Shop, especially when the thread starts to disappear on “Red Level.” Fortunately, his playing is engaging enough and the songs and album are short enough that it never becomes egregious. Now, about that production. One would almost think drummer Matt Grigsby snuck into the production booth the night after recording because the skins are seemingly the main event on Lowlife. I can understand this to an extent, as his style leans toward driving, ritualistic beats that add a distinct flavor. That said, he’s so high in the mix that when he’s really abusing the kit, almost all other instruments are drowned out. While lead guitar lines can somewhat cut through the cymbal crashes, riffs are almost obliterated, and a riff is a terrible thing to waste. The drums are so forward, that in the sparse moments on “Submerged” and “Strangers,” the snares can be clearly heard vibrating against the drum heads during the guitar solos. The instrumentation was recorded live with a vocal track added later, so this makes sense, but it’s much too loud and distracting. Drum prominence aside, the overall sound is somehow both muffled and slightly hollow, as if the album was recorded in a fur-lined concrete tube. It’s been awhile since I was so put off of an album I would normally enjoy because of production. Lowlife was recorded by Windhand guitarist Garrett Morris and mastered by Dan Randall, but it takes a village to raise an album, so it’s hard to Tel—sorry, couldn’t resist—who ultimately controlled the overall sound. It’s a shame because under the overly loud snares and cymbals, there’s a promising debut from a band worth watching.